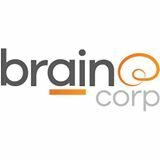 We are proud to announce a new partnership with Brain Corp, a software technology company known of its autonomous artificial intelligence systems. This partnership enables us to introduce Brain Corp’s AI technology, known as EMMA, through our commercial-grade equipment to the manufacturing, government, retail, aviation, healthcare and hospitality industries. This partnership offers a sustainable, smart and safe cleaning solution that empowers operators of Minuteman floor cleaning equipment while allowing them to focus more time and energy on higher-value tasks. The technology will significantly increase efficiency while improving consistency and resulting in a more scalable environment. We look forward to introducing you to EMMA and the ways the technology will revolutionize your cleaning program.